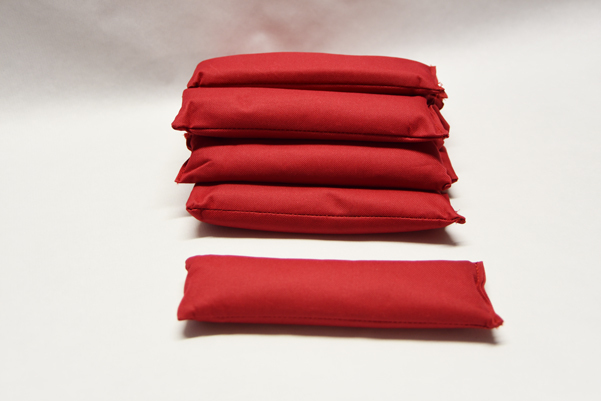 2 kg special weight of small metal balls in red nylon bag. Using nine of these bags in a simulation suit body pockets 18 kg are added, reaching an overall weight of almost 30 kg for the entire simulation suit. This weight simulates the effect of fatigue and muscular distrophy.